Strike up the grill now, the fun has begun… the eastern european tailgate! 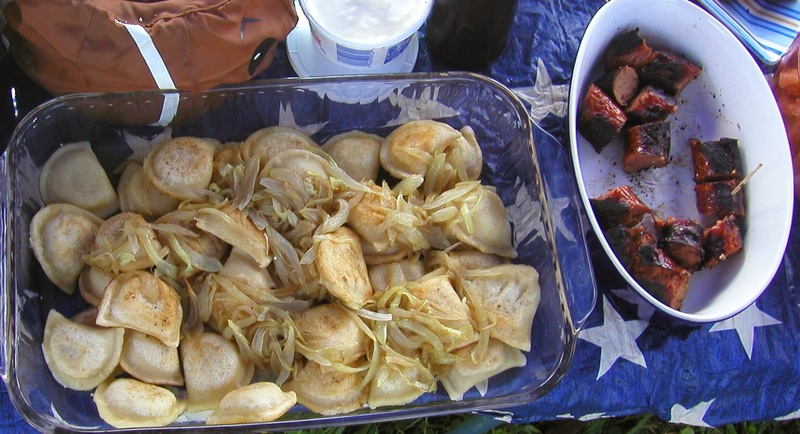 We're excited to get back to Happy Valley to cheer on our Lions and to host our first eastern european themed tailgate - expect paprika - and pierogi - a lot of pierogi. Kickoff is at 12pm so that means that the parking lots open at 7am. We'll be there - testing our cold weather gear for the first time this season. Accuweather's current forecast is mostly sunny with a high 52F and a low of 37F. Which isn't too cold, but be sure to wear layers - and a hat! The boilermakers of purdue sport black and gold - so wear your silver jewelry (shouldn't be too cold for it) and white thermals. Stuffed cabbages; hungarian paprika chicken legs; turkey reuben and roast pork *stackers* (pierogi - right on the sandwich!! ); kielbasa; home made and artisan (i.e. pierogi kitchen) pierogi; hungarian cinnamon loaf; a variety of snacks & sweets; and, potato pancakes! Our spot is in the Green Parking Lot (west/press box side) - text/message/call for specific directions. All are welcome. Stop by to say 'hi' or stay the day. Contributions of food and beverage are appreciated but not required.